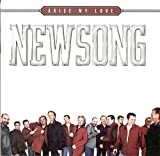 NewSong is an American contemporary Christian music group that was founded in 1981, at Morningside Baptist Church in Valdosta, Georgia. They have had eight GMA Dove Award nominations. They are the founders of the Winter Jam Tour Spectacular, the United States' largest annual Christian music tour. It began in 1995, and is hosted by NewSong. It has had many of the most popular Contemporary artists perform each year, including Steven Curtis Chapman, Jeremy Camp, Newsboys, Anointed, MercyMe, TobyMac and Skillet. NewSong has frequently provided support for organizations working with abandoned and underprivileged children. For years they worked with World Vision, a humanitarian organization dedicated to working with children, families and their community to rid them of poverty and injustice. Then in 2006, the band became involved with Holt International, a world leader in child adoption and child welfare. The original four included the current members Eddie Carswell, Billy Goodwin, and former members Eddie Middleton and Bobby Apon.